Unhappy and unsatisfied with the idea that CMM suppliers make their own versions of equipment vital to their own business, Dave Delph, president and founder of Advanced Industrial Measurement Systems (AIMS Metrology), set out on a different path. 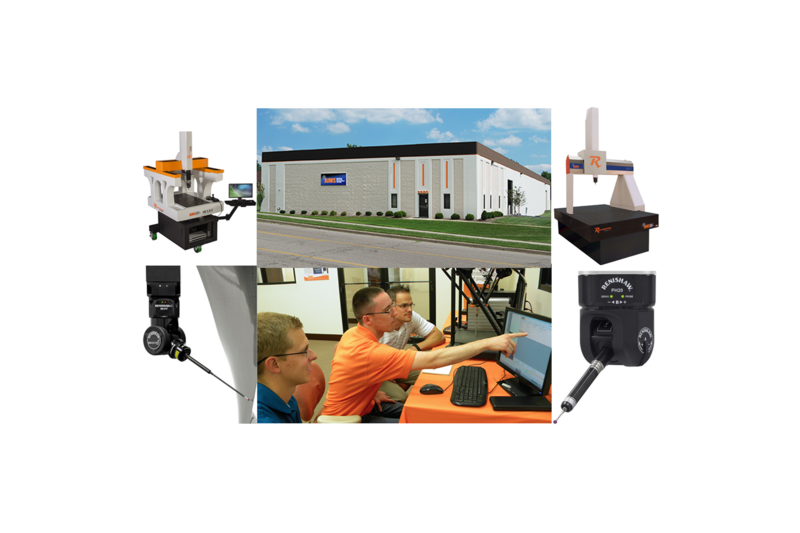 Armed with only a laptop, a printer, and an innovative idea, he and his partner, Mark Gearding, executive vice president of AIMS, sought to create a business that would create CMM machines that were 100% compatible with all Renishaw technology. In his eyes, he believed that Renishaw was the best product developer and most innovative company in the industry. 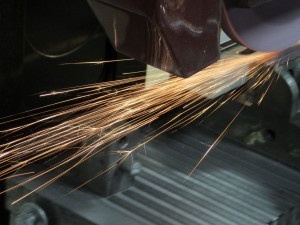 So, with a loaned office generously provided by Silver Tool, a local company, and many positive meetings with Renishaw later, Dave was able to grow AIMS into the business it is today. With every intention of growing it into a global company one day, Dave’s mission – and now AIMS’ – is to always take care of your customers by providing an unprecedented level of service and dedication to them, through thick and thin. “The best way we’ve been expanding is through customers telling their friends about us,” he said. AIMS has even sold to parts of the country where it has no presence yet. With that, it is the whole of the AIMS team too that makes his dream a reality. For those of you whose lives revolve working in and around machine shops, AIMS Metrology’s newest line of Revolution® HB Series, and Revolution® LM Series CMM machines aren’t just made in the U.S, they are also proudly made in our innovative city of Dayton, Ohio. Dayton’s rich manufacturing history was built from the ground up on innovative ideas and inventions that ended up not only pushing our city into greatness, but revolutionized the way our country and the world does things. To quote from The City of Dayton’s website, “The number of inventions patented by Dayton inventors runs into the thousands.” The airplane, cash register, digital clock, air conditioning, instant blood-glucose testing, and the self-starter for electric ignition in cars are just a sampling of the things everyone came to love thanks to this city. Even the first football team created, the coveted football, and yo-yo were patented here. Now, its time for the Revolution® HB Series and the Revolution® LM Series to make their mark on history – revolutionizing the way our nation and the world thinks of and operates a CMM. We are an Original Equipment Manufacturer (OEM) who builds their own CMM models – which in turn benefits our customers by providing a “one stop shop” – and a CMM supply company. This means that we are passionately devoted to building a solid partnership with each of our customers by supplying the very best technologies at a competitive price and by providing expert service and training for any of our customer’s needs.